A team from the Massachusetts Institute of Technology and Delhi-based Jain Irrigation Systems has designed a solar-powered machine to desalinate water and disinfect it with ultraviolet rays, hence making it suitable for drinking and irrigation. The innovation was triggered by the need for engineering a water desalinisation system that’s low on cost and energy consumption. Most of the people in rural India can't afford RO water that is free from bacteria and salt. Hence, they drink water with a salinity level above 1,200 parts per million (ppm). The World Health Organization recommends levels less than 600 ppm. The water in Cambridge and Massachusetts doesn't even go above 350 ppm at its worst. With wells drying up and water table decreasing, many villagers have to dig about 50 to 70 metres deeper to access water. The water table—which is dependent on the amount of rainfall—lowers as water is overdrawn and not replenished. The salinity level of water naturally increases with depth. RO systems utilise a high-pressure pump to push water through a membrane. Saltier the water, greater is the energy required to move the water through. Once the water passes through an RO membrane and the pure water is removed, the leftover saltwater is more concentrated and requires proportionally more power to move it through the membrane. Often, the cost of power outweighs the benefits. In order to keep the costs down, manufacturers don’t allow the water to go through a second pass. That’s why RO systems have high water reject rates. In some cities like Chellur, located outside Hyderabad, the reject rate is about 70 per cent, which means 70 per cent of potential drinking water is wasted before it gets desalinated. For Amos Winter, assistant professor in the Department of Mechanical Engineering, and Natasha Wright, a researcher in the Global Engineering and Research (GEAR) Lab and a fellow of the MIT Tata Center for Technology and Design, the idea of engineering electrodialysis emerged out of a simple question: why would villagers buy clean water when they have almost always gotten their water for free? What’s the value added to them? They thought the solution lies in designing a water treatment system that was affordable and would work in the context of rural Indian villages. They identified electrodialysis reversal (EDR) as a system that would work best to remove salinity of brackish groundwater in villages. They chose EDR because it requires 25 to 70 per cent less energy than RO and can recover over 90 per cent of the feed water. If treated through EDR, water recovery is above 90 per cent—higher than what we get in RO system. The residual water with salt concentration is dried in a solar pond—a pool of saltwater that collects and stores solar thermal energy. EDR removes salts, chemicals, pesticides, fertilisers and micro-organisms from water by consuming about half the energy required by a reverse osmosis system. Hence, it can be effective for villages that don’t have easy access to electricity. 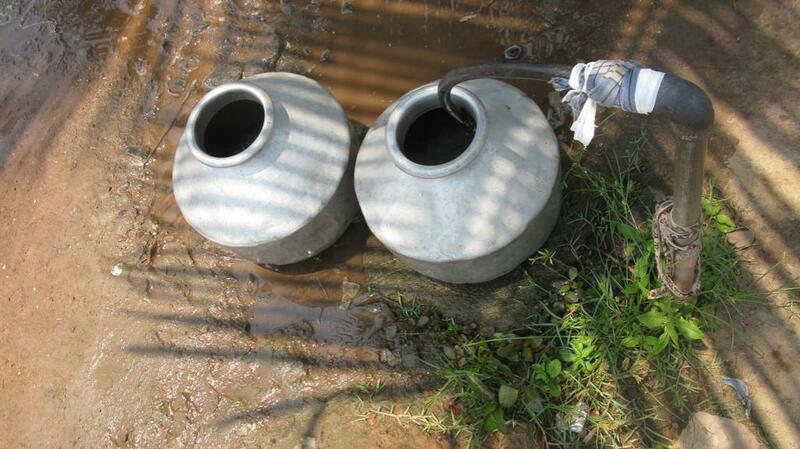 The technology has been tested in several villages in especially water-pinched India. Energy savings suggest that electrodialysis is an affordable solar-powered desalination system. While villagers don’t have to worry about erratic power supply, lower operational cost will encourage engineering of more such devices in future.